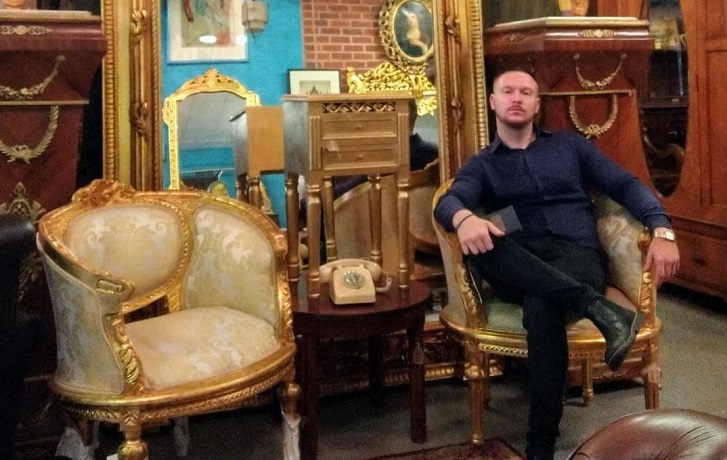 James Tierney is the co-owner of Liverpool-based antique and vintage warehouse, the Vintage Barn. The shop specialises in a variety of antique furniture, alongside vintage interior furnishings. Victorian/Edwardian dark, heavily carved furniture can be picked up pretty cheaply at the moment, probably around half the price it was eight to ten years ago, making antique furniture like this pretty cheap. However, over the past decade there has been a massive interest in 50s, 60s, and 70s furnishings, ceramics, art, etc. For example, G plan and any Scandinavian furnishings, especially with maker’s markings. A lot of this change is due to the new wave of buildings being constructed in city apartments, alongside the influx of foreign students, especially Japanese doctors and students who love the retro style and other people follow suit. In line with this new trend there are a couple of good investments for future antiques. There are two modern-day artists from Liverpool, Arthur Dooley and Brian Burgess, who studied at the same academy and both work in the same field and style of paintings/sculptures. Their works can still be found and bought at the right prices. If you find any, they are worth keeping for future investment. Over the past 20 years, there works have become more sought after and increased in value and interest. I love paintings, especially neoclassicism, and clocks, but only mechanical long case and ormolu French style or bronze/enamel style. I also love good, small pieces of Georgian furniture and French gilted kingswood furniture. Antiques of the future are going to be those created by independent designers of modern-day art in all aspects, such as furniture, glass, ceramics and art. However, pieces must have the maker’s stamps, names or marks added, especially for prototypes or one-off pieces. Look out for these. 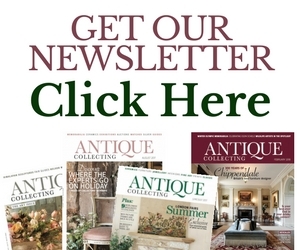 The antique and collectors industry has changed dramatically since 2000. It was also dramatically affected in the 2007 crash as many foreign buyers went out of business. This was when the shipping of antiques to places such as America and Canada virtually stopped. It’s also why Victorian, Edwardian and pre-war furniture lost its value. 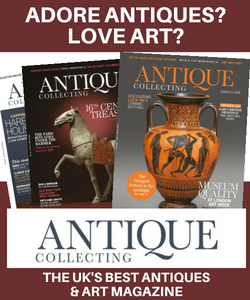 Tell us some trade secrets – what are you top tips for buying antiques? I’d be a fool to tell you! The best places to find antiques are secondhand shops and house clearances. 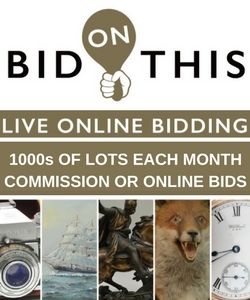 Avoid auction houses as there are too many dealers hanging around, so no bargains! Buyers make the big mistake of getting over excited when they find a piece. They can then fall into the trap of buying before they’ve thoroughly checked it out, sometimes paying a high price for a copy or reproduction. Buyers should always ask the seller for the history of the item they are buying. The stronger the provenance, the more valuable it could be. Better quality antique furnishings are very well made by cabinet makers and have had a very long life. More importantly, they offer better quality at a cheaper price compared to new furnishings, which are made with a very short life expectancy. Yes, young people are starting to show a lot more interest in antiques, appreciating the good value compared to buying new from stores. After the low of the past 10 years, I think we are seeing a revival in demand for antiques among the younger professionals.